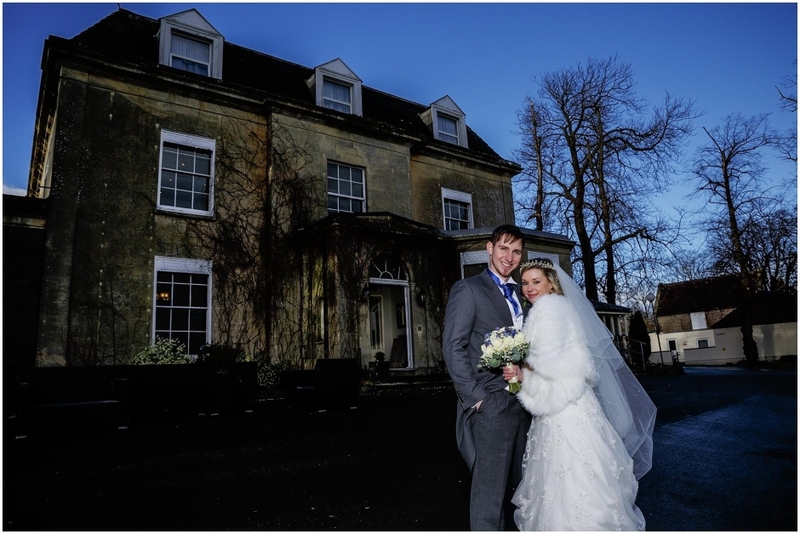 Andrew and Zara’s winter wedding at The Grange Hotel in Winterbourne, North Bristol was beautiful. The weather was mostly perfect, if a little chilly, with blue skies and little white clouds. 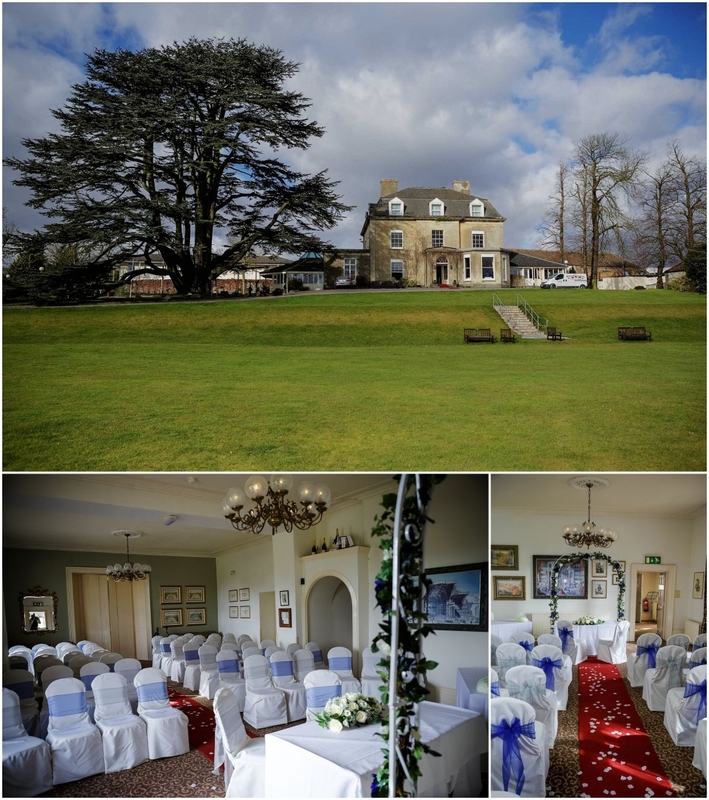 The Grange Winterbourne is a great wedding venue, with sweeping open green grounds as the backdrop to the smart hotel building. The stand out feature is the huge tree standing next to the hotel, which is floodlit at night creating a spectacular landmark, ideal for iconic night wedding photographs. Scroll through the pictures to find an example near the end of this blog post. 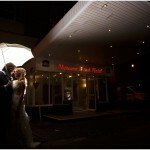 The Mercure Grange Winterbourne wedding venue seen here from the outside and indoors set up ready for the ceremony. 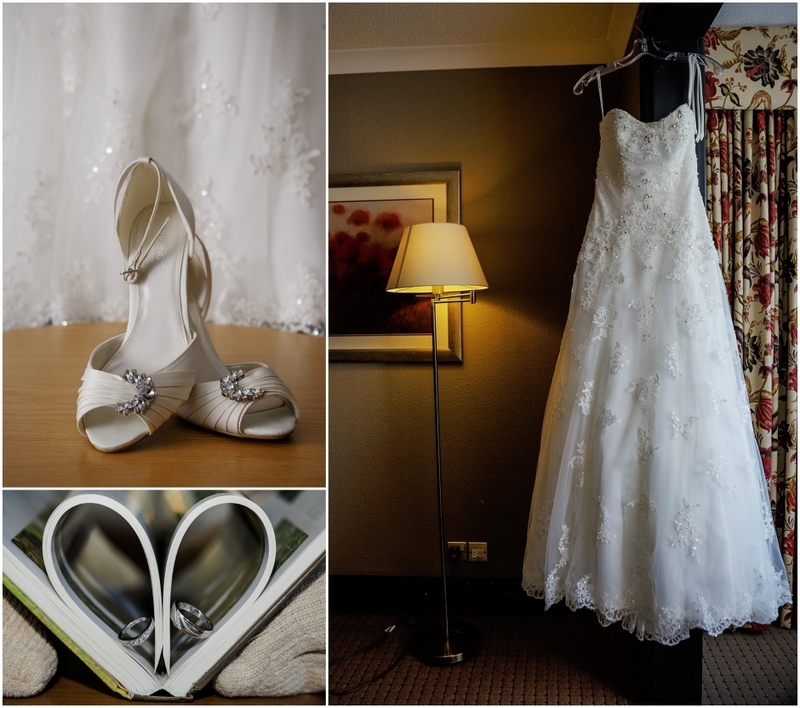 Zara’s stunning wedding dress looked amazing, along with her elegant bridal shoes and a creative picture of their wedding rings. When comparing wedding photographers, pay close attention to the wedding dress in all the pictures and make sure you can see all the detail in the lace work and textures in the fabric. This can be easily lost as just a white blob without any detail showing if the photographer is inexperienced. Andrew had an entourage of men to support him, with three best men and a couple of ushers. It’s great when the guys get ready at the same venue as the bride in the morning, as they’re typically ready early and have time to spare for some fun group pictures. The Grange Winterbourne offered us many varied options for our quick lads photo shoot, a sample of which is shown below. Zara looked stunning all day, along with three beautiful bridesmaids. Hair and make up by Emma Dawson. Andrew’s brother joining in with the wedding photography with a quick selfie! Zara’s Dad was very proud of his beautiful daughter. I love capturing little moments like these at weddings. The flower arch was an excellent addition to the ceremony room at The Grange Winterbourne. The windows along the side of the room provide excellent natural light for pictures without flash during the service. The Happy Couple looked amazing together. These pictures feature the main entrance of The Grange Winterbourne, which also provided a grand backdrop for the formal group pictures, and also some dramatic pictures close to the huge tree. I’ve used some flash on Andrew & Zara to balance the exposure of the sky with the couple to create a more dynamic wedding picture. Zara with her bridesmaids, I like the combination of the blue sky with the blue dresses. Some darker clouds moved in allowing us to create a dramatic moody picture with all the boys. The youngest was feeling the cold a bit I think. Andrew milking his moment in the limelight at the start of his funny and touching speech. The first dance in the ballroom at The Grange Winterbourne. The big green tree at The Grange Winterbourne had to feature in their after dark creative pictures. It looks great lit up in green light. In the smaller picture Andrew is spraying champagne at my camera! This archway at The Grange Winterbourne provided a perfect location for some creative evening wedding pictures. The evening partying included a masquerade ball theme. Several guests sported elaborate masks to disguise their appearance, which was a lot of fun. You could tell everyone was in a good mood by the energy on the dance floor! If you were a guest at Andrew & Zara’s Wedding in The Grange Winterbourne, you can access more of their wedding pictures here: Andrew & Zara. Contact me or Andrew & Zara for the password. 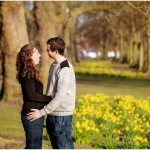 Planning a Grange winterbourne wedding and looking for a wedding photographer? Get in touch to arrange to meet me! See more work by Bristol Wedding Photographer Steven Parsons by following this link: Bristol Wedding Photography.